Calling all wizards, witches and muggles alike for a Harry Potter-themed singalong at the Wauna Credit Union stage in Columbia View Park. Members of the nonprofit central Florida-based group, Actors Reaching Out, will be hosting several performances of an original parody skit called "Harry-oke: A Hogwarts Cabaret," which will feature characters from the popular book and movie series by J.K. Rowling. In the show, characters from the series will come together for an open mic night. Who know what songs they will sing — pop arrangements to show tunes to rock? The musical variety is sure to hit all the right notes. Members of the Actors Reaching Out group, which has a mission to promote literacy and community service through theatrical arts, wrote the musical earlier this year, according to information on their website. ARO also wrote a Harry Potter-themed show over the summer, which recapped the events of all seven of the Harry Potter books in a 90-minute comedy show, which debuted in Orlando. The group visited St. Helens last fall to put on a free Halloween-themed sing-a-long on the waterfront. 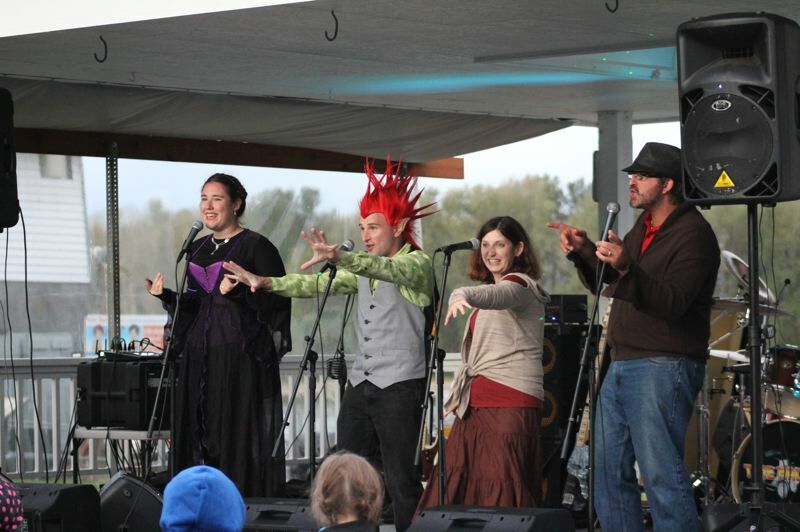 Free performances of "Harry-oke: A Hogwarts Cabaret" will be held Friday, Saturday and Sunday Oct. 6-9, at the Wauna Credit Union stage. Performances will be held on Oct. 6 and 7 from 10:30 to 11 a.m. and 4:30 to 5 p.m. on both days.